Hairy crabs come once a year around autumn. “When the autumn wind blows, the crabs become fat.” So goes the saying. We had this meal around Nov, when the autumn had started blowing, so we were quite excited by the prospect of eating these succulent morsels of indulgence. 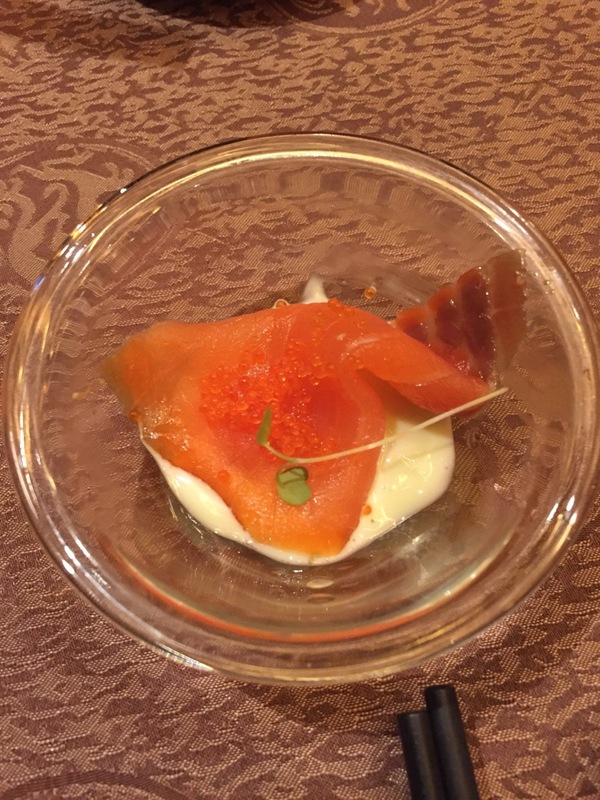 The meal started with an quick starter of smoke salmon with cream cheese. Not very well thought through, but nevertheless, this was not a fine dining French restaurant. 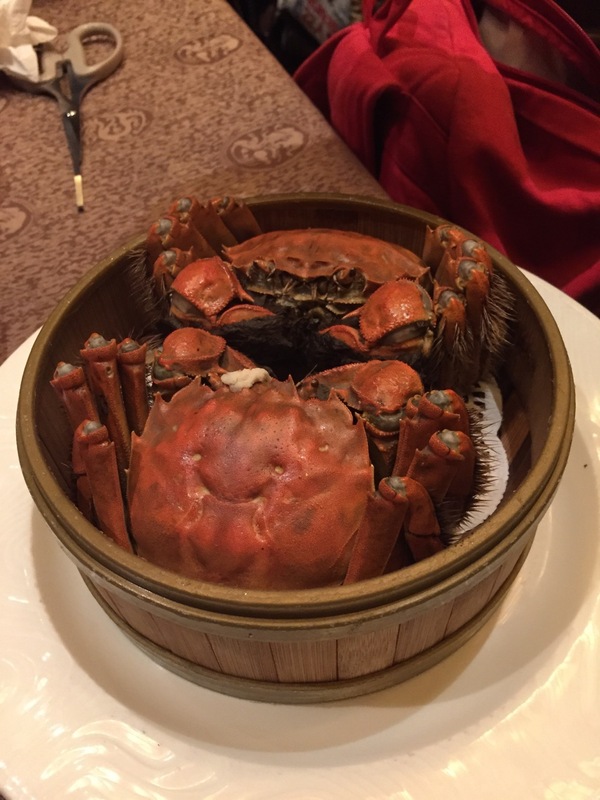 The highlight of the dinner was hairy crab. Besides the main attraction, the rest of the dishes featured all the different parts of the crab. First up, a mini-burger with scallop in teriyaki sauce on crispy rice, and a fried mantou with a crab roe sauce, inspiration from the Singapore chilli crab. The slider was tasty, but it was not designed to be eaten like a burger. The sauce was all over the bread and therefore you could not eat it with your bare hands without making a mess of everything. 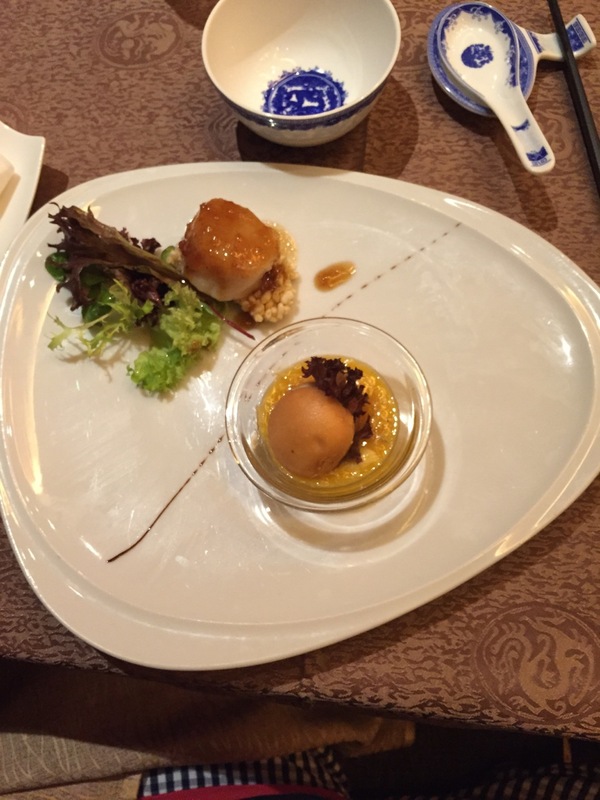 Same for the mantou, it was placed directly in the sauce and therefore you have to use the cutlery to work through this dish. 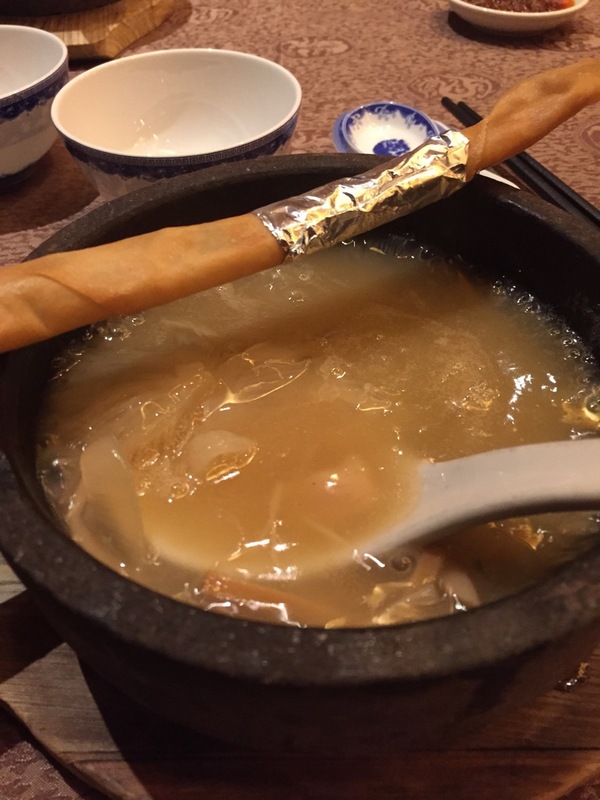 We decided to “upgrade” the set menu soup to their signature Shark fin soup in Stoneware. 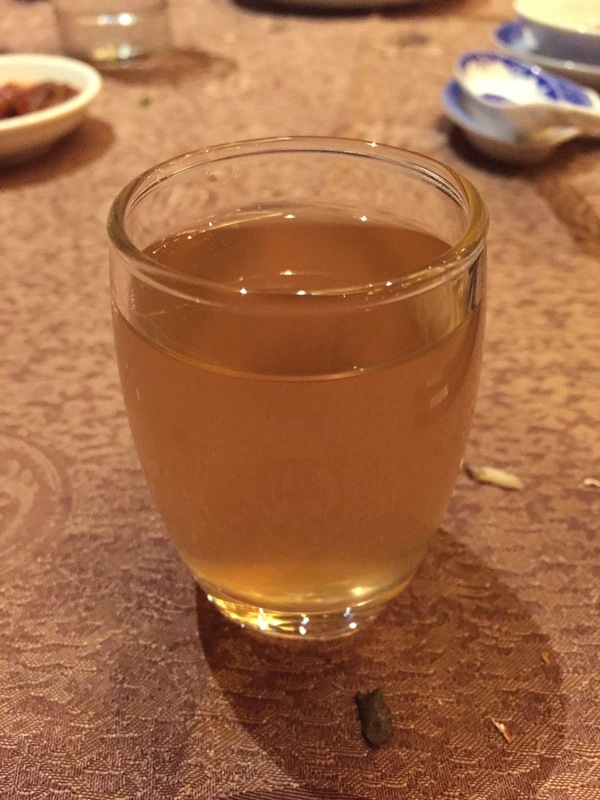 The soup was a think broth of chicken and scallop reduction that provided the taste for the tasteless shark fin. One can replaced the shark fin with other ligaments or crunchy ingredients and this soup would still be good. Take it first without the vinegar and parsley to enjoy the thick broth, and then with these traditional condiments for a lighter taste. 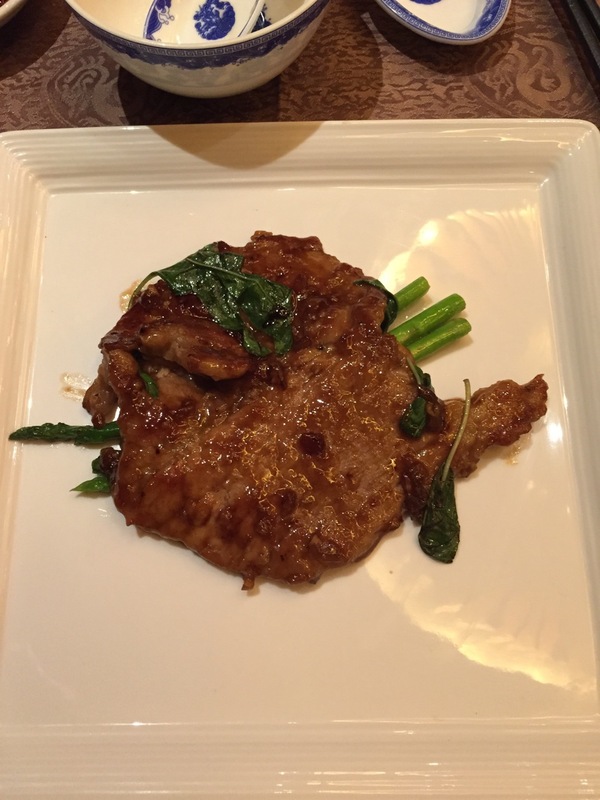 Next up was a pan-seared Kurobuta pork served with fresh basil. OK, it was a quality piece of meat but I personally thought it was over-seasoned and lost the texture and taste of Kurobuta pork. 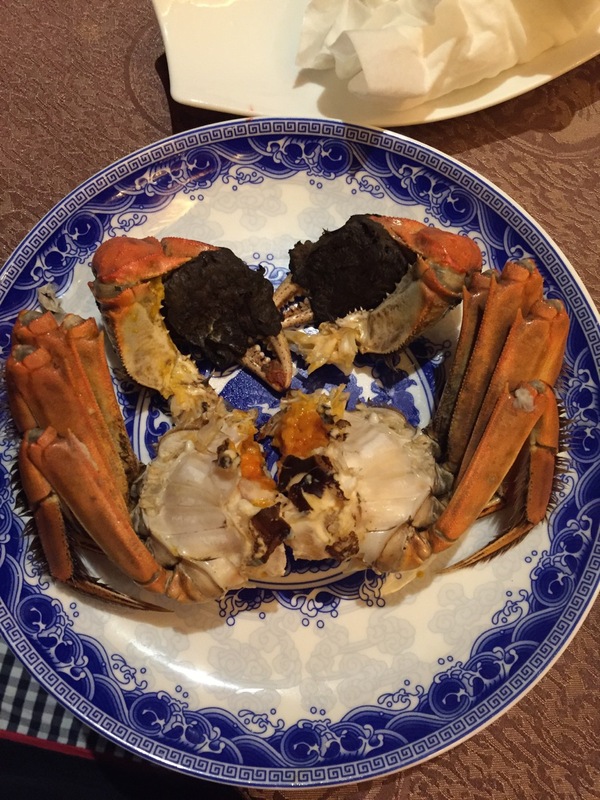 Now for the main attraction – hairy crabs. I always enjoyed in at home, with family and working through every bit uninhibited. But now we have to work slowly and elegantly. 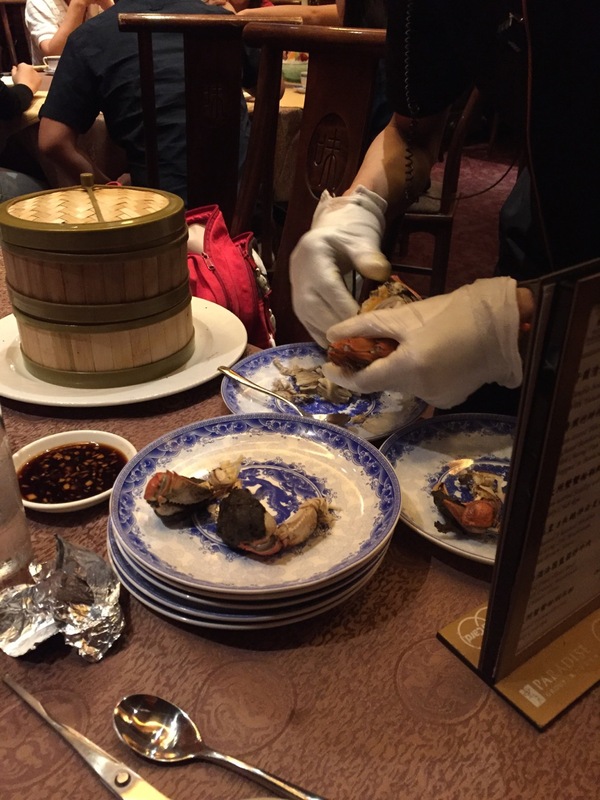 One of the process was to remove all the innards of the crab. The weight of the crab is about 300g, around the size of a dinner roll, so what was the fuss all about? 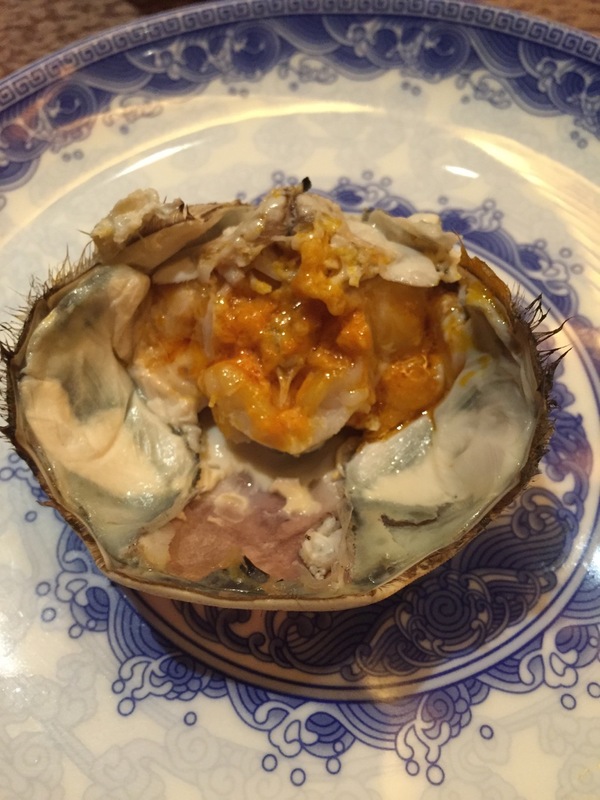 It’s the golden roe under the shell. Autumn is the mating season of these crab, so they will be the fattest and choked with roe at around this time. 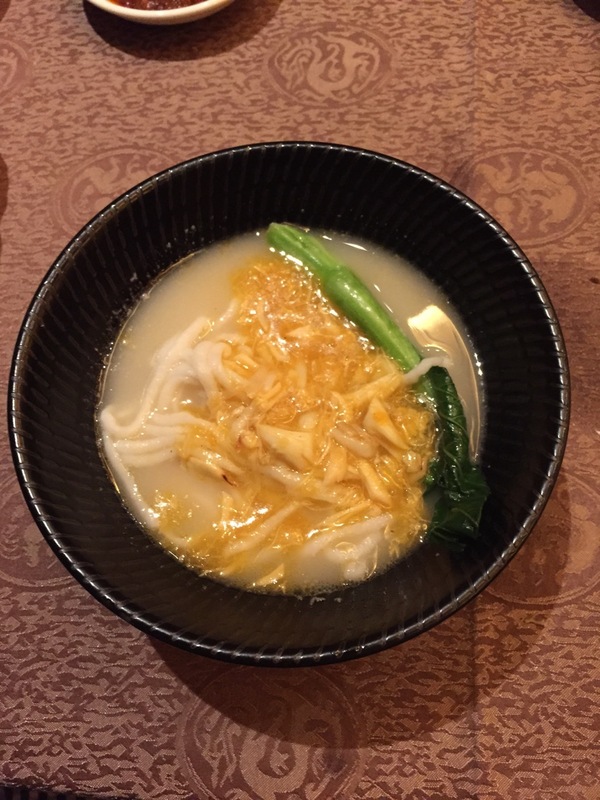 The noodle dish was a fish noodle – the dough was mixed with fish meat with a higher percentage of fish meat. Imagine fish paste pressed through a noodle maker. It was almost like a repeat of the appetiser, the soup and crab roe was similar to the slider sauce. Tasty, but I had better fish noodles. 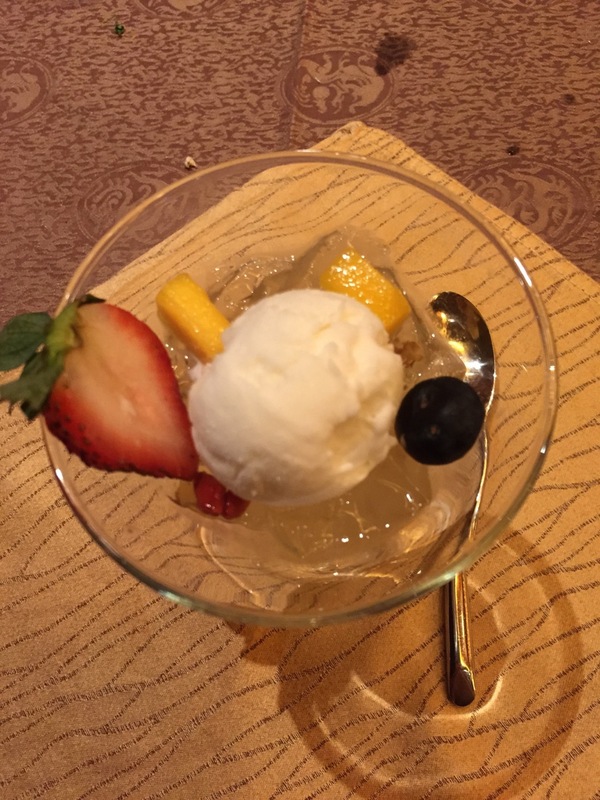 The dessert was a jelly (osmanthus-flavoured) with coconut milk sauce. Light and not too sweet – very nice. Service was impeccable. The place was not congested and there were ample space between tables in the main dining hall. But the background noise could be a bit to the high side as this is a after all a Chinese restaurant, and talking across the table is encouraged. But there are private rooms available – ask about the minimum spending based on the room size. A bit pricey, be prepared to spend $100++ per pax without alcohol and drinks.